Our latest design has arrived. Preview all of our designs now. 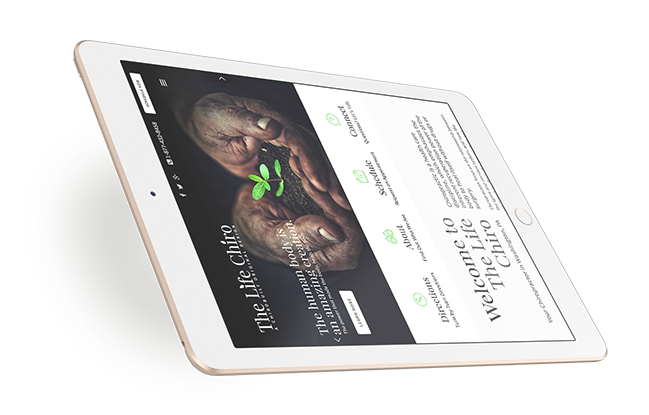 A clean, wide open design, built for converting clicks to patients. 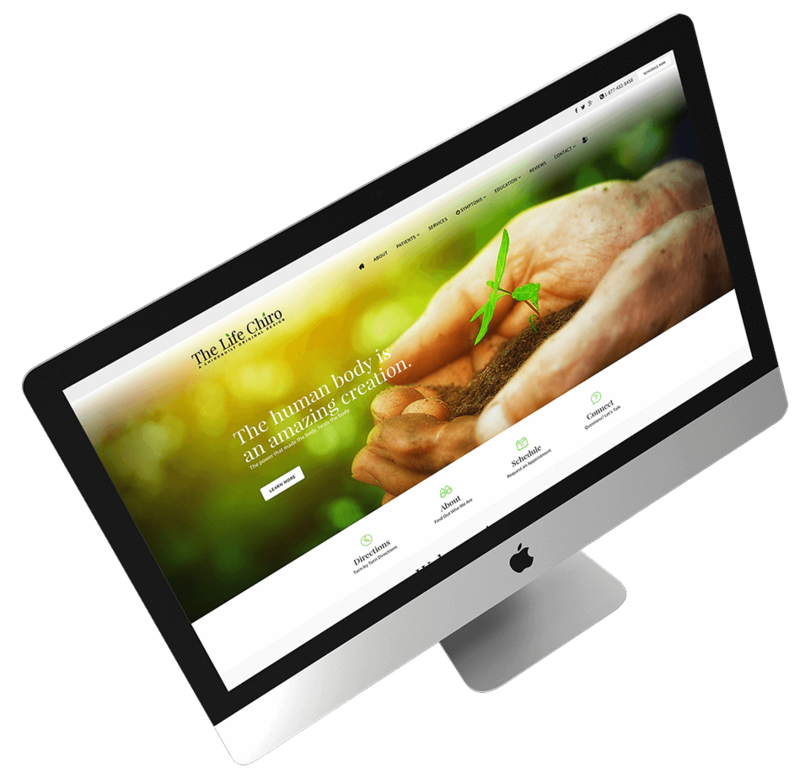 Get a custom website, guaranteed SEO, a lead nurturing email marketing system and so much more. 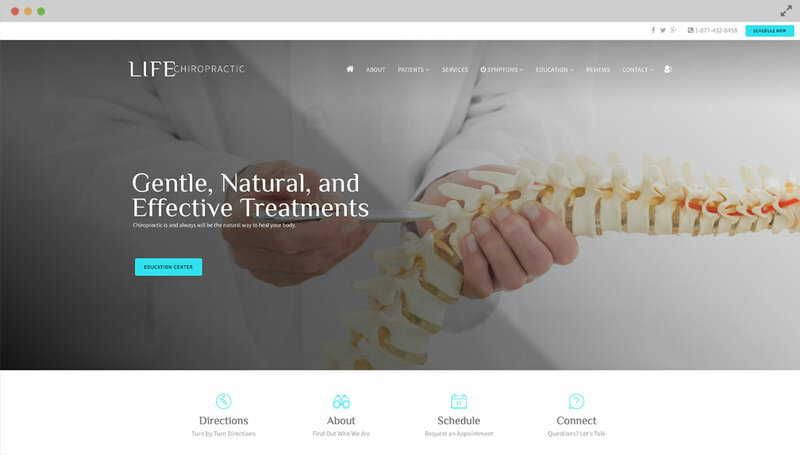 Go ahead, take a test drive of our trend setting chiropractic websites. Pick from one of our sample sites you love. 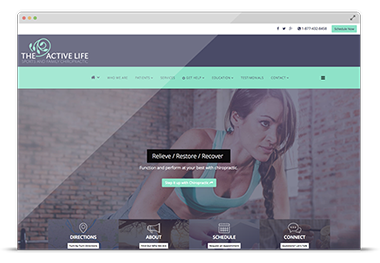 We start from there instead of from scratch and begin customizing your new website by adding your logo, colors, change images, icons, menu items and more. We also guarantee your website will get found organically. 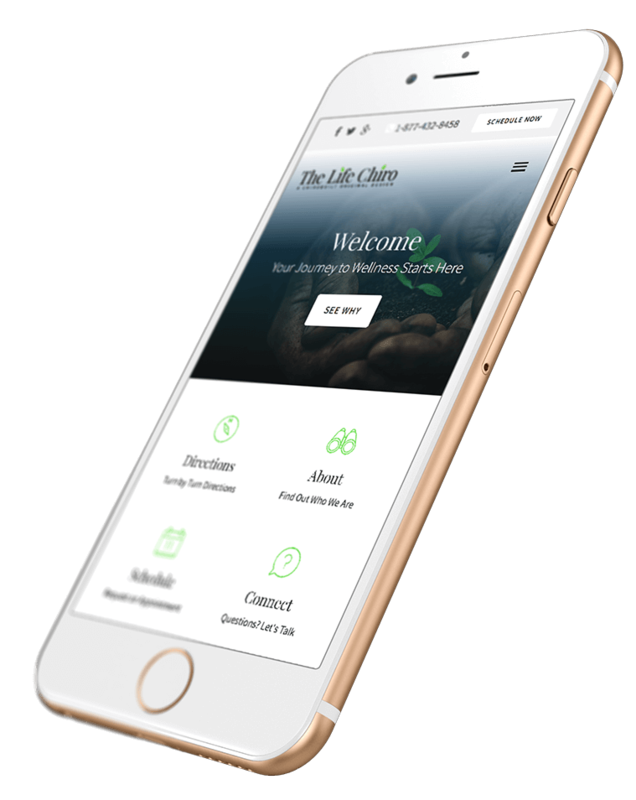 End result, a branded and custom website in half the time. This process takes days not months! We’ve helped thousands of clients bring their ideas to life. But don’t take our word for it. Take theirs. 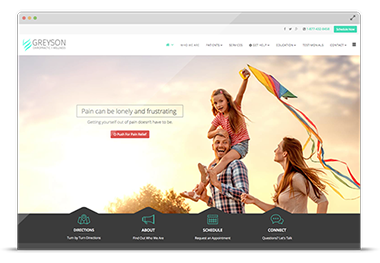 We are thrilled with the decision to choose ChiroBuilt for our website! In a month's time, their SEO has gotten us the #1 spot on Google! It is a fantastic value and the set up for launch was easy; we couldn't be happier with the choice! 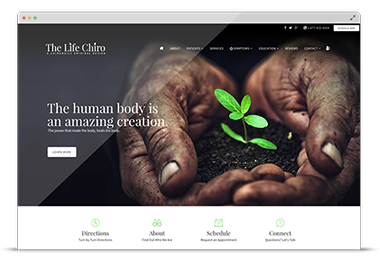 ChiroBuilt makes it simple for you to have a powerful and custom chiropractic website. Our service package includes guaranteed SEO, a truly customized website, zip code exclusivity, low cost monthly fees and so much more. 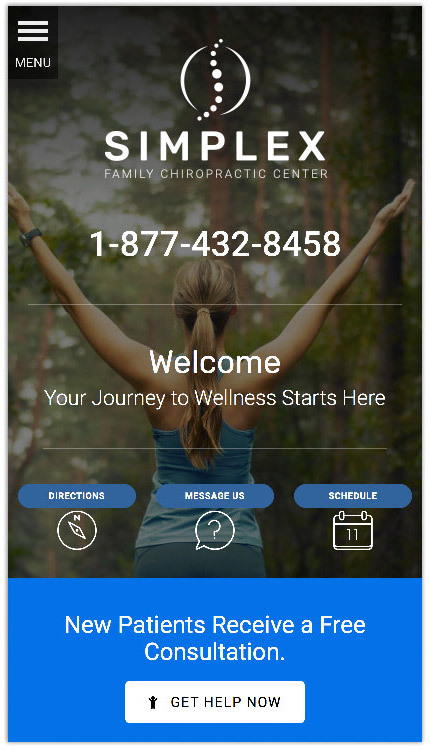 From the moment a potential patient lands on a ChiroBuilt website they already have made the decision to visit that clinic. 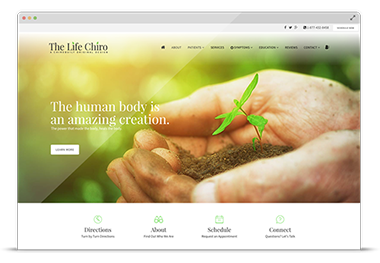 Your Chiropractic website should be beautifully designed and rich with features. 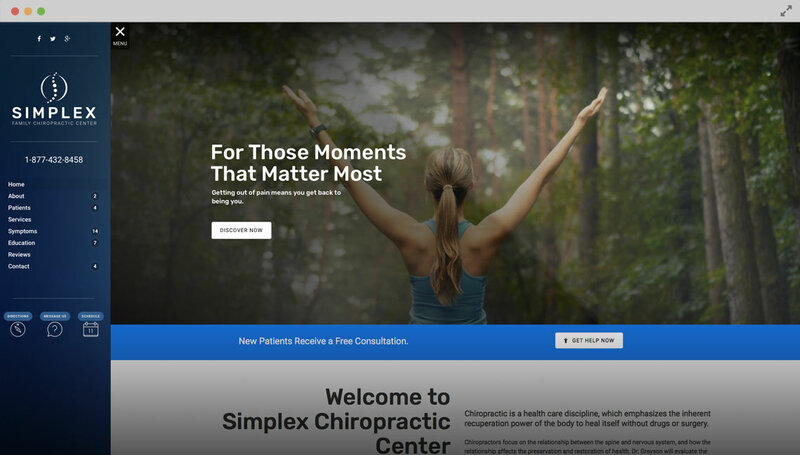 A branded website that creates a unique online presence for your clinic. Use your newly created brand across all of your marketing efforts! 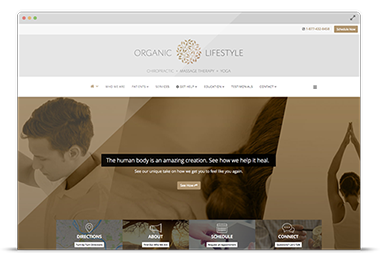 As a ChiroBuilt member you will enjoy the benefits of having a team of SEO experts at your fingertips. We guarantee your website will get top search engine results and we'll work on your website until it does. Our newsletter marketing system will captivate & convert users to real patients. 12 Pre-written newsletters come preloaded and 6 design layouts to create your own. Our sites are custom made to provide an optimal viewing experience across a wide range of device screen sizes. Our goals are to provide trend setting web designs, fair pricing, higher conversion rates, and a user experience that gets remembered. That's why most of our clients have been with us for over 15 years. 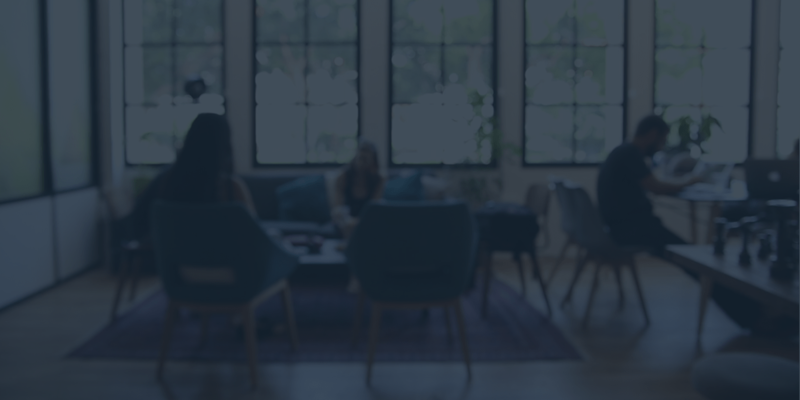 Send newsletters, edit menu items, images, and videos. Pagebuilder Pro makes it quick and simple to edit or create beautiful pages. fee! Register now to reserve this special. Offer ends 04/25/19.